If you can remember back around about a decade, mineral foundations were just about to explode onto the market. 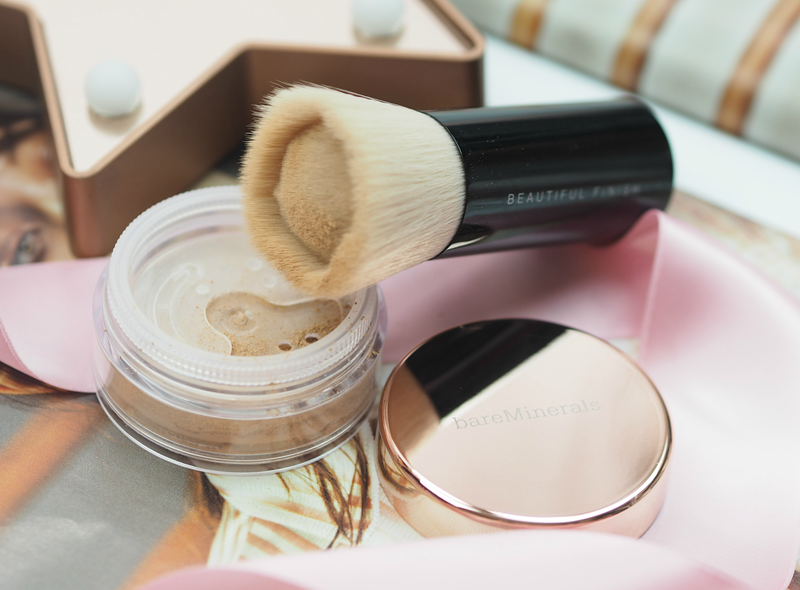 Brands like Bare Minerals had actually been offering them for years, but due to a sudden interest in all things mineral on the high street they became a staple of our makeup bags. 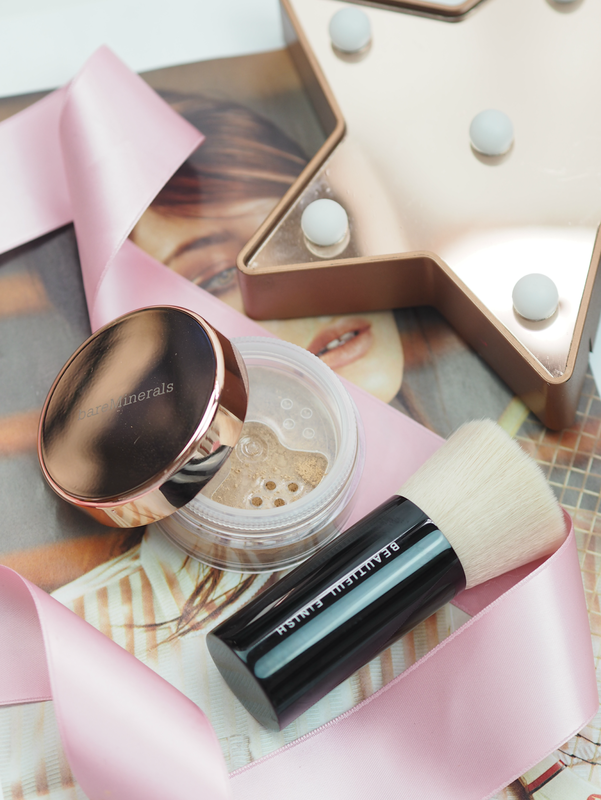 The premise was simple: this buffable powder helped to conceal imperfections and create an eviable glow, all while ensuring skin could still breathe effectively and without clogging pores. Although many of the brands at the time were actually using ingredients that were less than skin friendly under the duress that because they were ‘mineral’ they were fine (that’s a whole other story!) we all got on board with the idea wholeheartedly. For years my Bare Minerals collection was what I reached for every day, providing a quick and easy way of feeling ‘made up’ without the need for any skill whatsoever; I definitely think the reason it became so successful was because it was effortless, but still so effective. Over the years these little pots of colour have remained a staple for many, but rarely spoken about as our attentions get captured by the newest and newer still foundation – but I was recently reacquainted with the Original Formula, and it definitely felt like a romance rekindled. The Original Foundation provides flawless coverage with a natural matte finish that doesn’t clump or cake; if anything, it looks slightly better throughout the day and only needs a little bit of re-buffing to freshen completely. Applied using a brush in circular motions, the formula minimises the appearance of pores and increases cell turnover for younger and fresher looking skin, while providing SPF15 to help protect against the damaging effects of the sun. Made with only the purest and highest quality ingredients, this is a pot of greatness – and I’m kind of annoyed I’d forgotten about it. If you have sensitive, acne prone or easily broken skin then this provides an easy way to still enjoy makeup without irritation or further aggravation. My best friend had blue light therapy on her adult acne and they actually recommended for her to buy a pot of Bare Minerals and use it and it alone for the coming few weeks as her skin healed; if that’s not a recommendation then I don’t know what is. We focus so much on the next big thing or the newest launch, that often the classics that we can rely on get pushed to one side… And are in great need of rediscovery. To celebrate the addition of multiple new shades across the spectrum, which takes the total up to 30 tones to choose from, Bare Minerals have launched a limited edition rose gold pot and a corresponding new brush which makes the process even more accurate and reduces wastage. Featuring a little well to pick up and hold the product, the bristles are super soft and really help to buff the makeup into the skin. It’s great to see so many different undertones and a multitude of colours for all ethnicities, so there’s undoubtedly a tone to match every single one of us: whoop whoop! 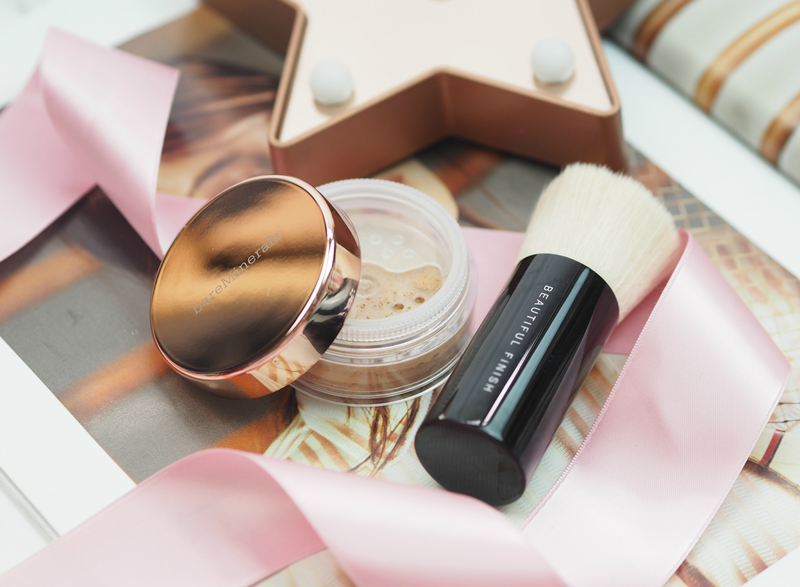 Mineral foundation has so many benefits, but at this time of year when we all want to embrace a slightly lighter and more ‘natural’ look it’s even more suited to our needs. Quick, easy to apply and no smudging or melting off in the heat, even the compact pot is suited to hand luggage only flights or beach days when you don’t want to apply a full face of makeup. I for one am totally getting reacquainted this summer… Are you? The Bare Minerals Original Foundation is now available in 30 shades, priced around £21.00. Find out more about the shade range on their website. It's such a great beauty brand isn't it! I've recently rediscovered minerals too – I wrote about rediscovering Lily Lolo – I love it!